Peter Strick, the Thomas Detre Professor of Neuroscience and distinguished professor and chair of neurobiology, was one of three Pitt people to receive NIH Director’s Awards this year. Strick earned the Transformative Research Award, part of the High-Risk, High-Reward Research program, for his work on identifying a biological basis for the mind-body connection. Ruder’s team will work to engineer cells that can be activated by high magnetic field gradients; Wright’s group will use thousands of microbial genomes to discover new antibiotics and figure out better ways of prescribing them to address the serious public health threat of antibiotic resistance. Find more details about the project at PittWire. Mary Allias, an assistant professor in the Physician Assistant Studies program at Pitt’s School of Health and Rehabilitation Sciences, has been recognized as a distinguished fellow of the American Academy of Physician Assistants for exemplary achievement in service to the profession, the advancement of health care and in dedication to the community. This honor is bestowed upon an elite group of less than one percent of practicing physician assistants. 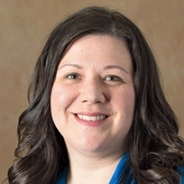 Allias’ interests include instructional methods for enhancing clinical reasoning and communication, as well as workforce issues surrounding the physician assistant profession. Pitt-Bradford has been awarded $2 million in state funding to support development of new engineering and technology facilities. “This grant will be critical to us in developing the facilities which will make it possible for us to offer new academic programs and expand existing ones. This is an investment that will provide benefits for many years to multiple generations of Pitt students, as well as to the companies in the region who will hire our graduates,” said Pitt-Bradford Interim President Lawrence Feick. The campus plans to develop a building to house classrooms, engineering and computer labs and shops and other specialized spaces to support new programs to meet local education and workforce needs. An architectural firm has been hired to study whether to construct a new building or to acquire and renovate an existing building to accommodate the new programs. Ann Thompson, Vice Dean at the University of Pittsburgh School of Medicine, was recently announced as a winner of the 2018 Leadership Award for an Individual from the Group on Women in Medicine and Science. Thompson, who is also a Professor of Critical Care Medicine and Pediatrics in the School of Medicine, will receive the award at Learn Serve Lead 2018 in Austin, Texas, Nov. 2-6. The annual event is held by the Association of American Medical Colleges. ECM Therapeutics, Inc. has licensed multiple extracellular matrix (ECM) technologies developed in the laboratory of Stephen Badylak (pictured) at the McGowan Institute for Regenerative Medicine, including hydrogels, bioactive derivatives and methods for delivering these materials within the body. The Pittsburgh based company will initially develop EsophaGel™, an ECM hydrogel for the treatment of Barrett's Esophagus which is often a precursor to esophageal cancer. EsophaGel has been shown in pre-clinical studies to halt and possibly reverse the progression of esophageal cancer. "We are pleased to license this portfolio of patents and patent applications to a startup company based in the Pittsburgh region," said Alex Ducruet, director for licensing and intellectual property in Pitt's Innovation Institute. "Dr. Badylak is one of Pitt's most prolific innovators, and we look forward to the positive impact that these regenerative medicine technologies will have on people's lives." ECM Therapeutics was founded by Badylak and business development colleague Katie Collins. Badylak lab members Jenna Dziki and George Hussey and the University of Pittsburgh hold equity in the company. The National Association of Science Writers announced that Elaine Vitone (A&S ’06G) will receive the organization’s first-ever Excellence in Institutional Writing Award. 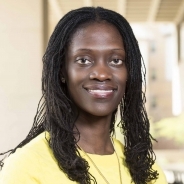 Vitone is senior editor at Pitt Med, the magazine of the University of Pittsburgh School of Medicine published in collaboration with the Office of University Communications. NASW established the award to recognize high-caliber, publicly accessible science writing produced on behalf of an institution or other non-media organization. Vitone will receive a cash prize to be awarded at a reception on Oct. 13 in Washington, D.C. In addition to her work at the magazine, Vitone is a writer and producer of Pitt Medcast, which has been featured on National Science Foundation’s Science360 Radio and several NPR member stations. 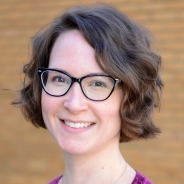 Emily Elliott, an associate professor in the Kenneth P. Dietrich School's Department of Geology and Environmental Science, is the recipient of the American Geophysical Union's 2018 Sulzman Award for Excellence in Education and Mentoring. The award was presented by AGU's Biogeosciences Section. The Sulzman Award for Excellence in Education and Mentoring is given annually to one mid-career female scientist for significant contributions as a role model and mentor for the next generation of biogeoscientists. 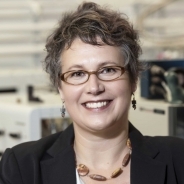 Elliott, who also serves as the director of the Pittsburgh Water Collaboratory and the director of the Regional Stable Isotope Laboratory for Earth and Environmental Science Research, joined the Dietrich School in 2007 as an assistant professor. Valerie Kinloch, the Renée and Richard Goldman Dean of the School of Education and professor at the University of Pittsburgh, received the 2018 Advancement of People of Color Leadership Award from the National Council of Teachers of English (NCTE). This award recognizes a person of color who has made a significant contribution to NCTE and to the development of their professional community. It is bestowed only when the selection committee decides a nomination warrants presentation of the award. Kinloch, who joined Pitt in 2017, has published many books and articles about race, place, literacy and equity, as well as the literacies and community engagements of youth and adults inside and outside schools. Among other awards, Kinloch is also a recipient of the 2018 NCTE Rewey Belle Inglis Award for Outstanding Women in English Education. Aman Mahajan was recently appointed chair of Pitt’s Department of Anesthesiology and Perioperative Medicine, part of the School of Medicine. Mahajan joins the University from UCLA, where he was chairperson of the Department of Anesthesiology and Perioperative Medicine and director of Perioperative Services at UCLA Health. His research focuses on spinal neural modulation of cardiac electrophysiology and the assessment of cardiac function in heart failure. 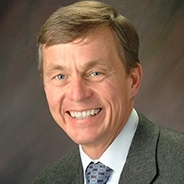 He is also a member of professional associations and national scientific societies in his fields of clinical and research interests, including the American Society of Anesthesiologists, the American Heart Association, the Society of Cardiovascular Anesthesiologists, the Association of University Anesthesiologists and the American Physiological Society. The University of Pittsburgh at Bradford has been named a College of Distinction for the fourth time by the Colleges of Distinction website and e-guidebook. Pitt-Bradford received further program-specific recognition in education, nursing and business. Colleges of Distinction highlighted Pitt-Bradford’s real-world learning opportunities, such as monitoring stream health in the Allegheny National Forest. Groundbreaking facilities, including the Crime Scene Investigation House, were also cited, as were opportunities that offer students leadership experience through campus activities. In program-specific recognitions, Colleges of Distinction recognized Pitt-Bradford’s education program for its use of an enriching liberal arts perspective, as well as its nursing programs for hands-on learning opportunities. Pitt-Bradford was also recognized for cultural activities including author events, student and faculty theater productions and career-networking opportunities. Following nominations from high school counselors and educators, Colleges of Distinction evaluates schools based on engagement, student empowerment and curricular innovation. Colleges must demonstrate results in four key areas: engaged students, great teaching, vibrant community and successful outcomes. The Swanson School of Engineering is leading a research collaboration that will share in nearly $8.8 million in Department of Energy funding to develop technologies that enhance fossil energy power systems. The team — Wei Xiong, assistant professor, and Albert To, associate professor, both in the mechanical engineering department, along with Michael Klecka at the United Technologies Research Center in East Hartford, Conn. — received $750,000 in DOE funding. They will focus on using 3D printing to create graded alloys in a shorter time and at a lower cost for fossil energy power plants. The program is being managed locally by DOE’s National Energy Technology Laboratory in Pittsburgh’s South Hills. Leigh Patel joined the School of Education on July 2 as the inaugural associate dean of equity and justice. Patel previously was a professor in the Education, Society, and Culture program at the UC Riverside Graduate School of Education. She previously spent 13 years as a tenured faculty member at Boston College. 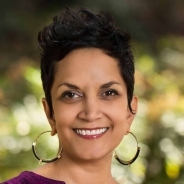 “I am greatly looking forward to working across research, policy, and practice to further equity and justice,” Patel said in a news release. “With every action, we are further equity and justice or impeding, and often there is a combination at work. I am excited to take up hard questions of these intricacies with this fantastic group of students, staff, and faculty. 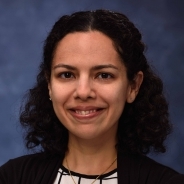 Irene B. Mena, assistant professor of mechanical engineering and materials, has been named director of the Swanson School’s First-Year Engineering Program. Mena will be responsible for implementing first year curriculum content, pedagogy, and improvements; coordinating Swanson School and other faculty teaching in the program; and managing the first year seminar. Mena also will direct the Swanson School’s annual First-Year Conference, in which all engineering first-years develop a professional-level research paper and present it to their peers at the end of the spring semester. She succeeds Daniel Budny, associate professor of civil and environmental engineering, who retired from the position after 18 years. Stephen Kilpatrick, an associate professor of biology, was named interim assistant vice president for Academic Affairs at the Pitt–Johnstown, effective July 1. Kilpatrick will assist Vice President for Academic Affairs Janet Grady in several initiatives, including improving the retention and graduation rates. Since coming to Pitt­–Johnstown in 1995, he has served as president of the Faculty Senate, along with several other position, and has served as the Biology Department coordinator since 2009. The Department of Defense has announced that Marine Corps Col. Daniel J. Lecce (LAW ’87), has been promoted to major general. He will be the Staff Judge Advocate to the Commandant of the Marine Corps, the senior legal adviser in the Marine Corps. Among Lecce’s personal awards are the Defense Superior Service Medal, the Legion of Merit, the Meritorious Service Medal and the Navy Marine Corps Commendation Medal. Lecce will join fellow Pitt alum Brigadier General John G. Baker (LAW ’97) as the only active duty Marine Judge Advocate general officers. Kabirul Islam, an assistant professor in the University of Pittsburgh’s Department of Chemistry, recently won a three-year $650,000 grant from the Molecular and Cellular Biosciences area of the National Science Foundation to develop answer a central question in mammalian biology: how is it that identical DNA in an organism can create diverse cell lineages? The grant funds an integrated chemical biology research and educational program, which will reprogram expression of genes that underlie cell division, differentiation, lineage and ultimately, organismal development. “The interdisciplinary research setting that brings together organic synthesis, protein engineering and cell biology, will provide a unique training ground for graduate and undergraduate students,” Islam said. There is a new leader at the helm at Pitt’s Institute for Learning (IFL). 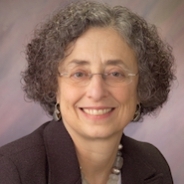 Rose E. Apodaca, who is nationally recognized with a proven track record in improving equitable outcomes for underserved students, is the new interim executive director of the IFL, which is part of Pitt’s Learning Research and Development Center. Apodaca most recently served as director of outreach and development at the IFL, and prior to that, she was a senior cabinet-level officer in large urban school districts, a teacher and a principal of a foreign language school. She also led bilingual education programs for three major urban districts and served as an expert witness in federal court on the teaching and learning of English language learners. The Howard Hughes Medical Institute has selected Swanson School of Engineering PhD student Emily Ackerman (pictured, left) and her thesis adviser Jason Shoemaker as one of 45 doctoral student-adviser pairs to receive a 2018 Gilliam Fellowship for Advanced Study. The Gilliam Fellowships encourage a more diverse and inclusive environment in science and academia. Each pair will receive an annual award totaling $50,000 — which includes a stipend, a training allowance and an institutional allowance — for up to three years. As part of their three-year grant, Ackerman and Shoemaker will organize a symposium at the University that will examine science, technology and diversity. Ackerman is pursuing her doctorate in chemical engineering, and Shoemaker is an assistant professor of chemical and petroleum engineering. Pitt's Institute for Cyber Law, Policy, and Security has announced the first 10 awardees of the first cycle of its Accelerator Grants Program. The honorees will receive funding for projects designed to advance Pitt Cyber’s mission to investigate critical questions surrounding technology law, policy and security. Awards have been granted to: Kevin Ashley, professor of law and intelligent systems; Matthias Grabmair, Carnegie Mellon University Systems Scientist; Julia Santucci, senior lecturer, intelligence studies; Daniel Cole, associate professor, Swanson School of Engineering; Alex K. Jones, professor of electrical and computer engineering, Swanson School of Engineering; Bo Zeng, assistant professor, Swanson School of Engineering; Zhi-Hong Mao, associate professor, Swanson School of Engineering; Mostafa Bedewy, assistant professor Swanson School of Engineering; Mai Abdelhakim; visiting assistant professor School of Computing and Information; James Joshi, professor School of Computing and Information; Balaji Palanisamy, assistant professor School of Computing and Information. Roderick Tan, assistant professor of medicine in the Division of Renal-Electrolyte at Pitt’s Department of Medicine, has been awarded the 2018 Edith H. Blattner Grant Young Investigator Grant from the National Kidney Foundation for research that will use high-resolution ultrasound to closely examine the human kidney’s vital small blood vessels. Tan received the grant as part of the NKF Young Investigator Research Grant Program, which strives to improve the quality of life for those with kidney disease by funding scientists in their research to discover the causes of kidney disease, how to prevent its progression and ways to improve treatment for those living with it.